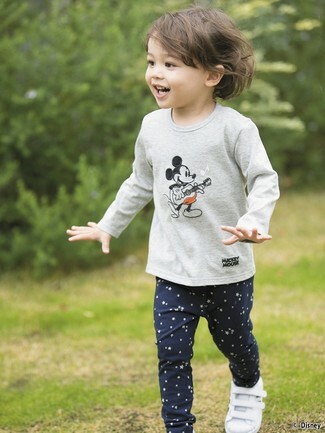 Suggest that your mini fashionista reach for a grey print long sleeve t-shirt and navy star print leggings for a fun day out at the playground. As for footwear your tot will love white sneakers for this getup. 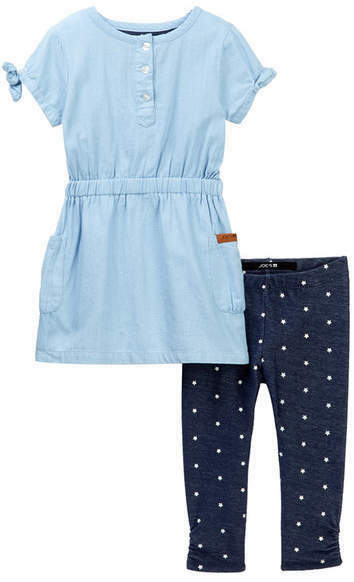 Consider dressing your tot in a white gilet with Joe's Jeans dress leggings set from Nordstrom Rack for a fun day in the park. Gold sneakers are a smart choice to complete this look.